Why are they important to filmmakers? I use Mac computers for all my work, from pre-production all the way through to post and authoring. If you’re a filmmaker or photographer you know just how important getting footage from the cameras memory cards onto a drive and backed up is a key part of workflow. Having a fast and reliable method of data transfer is crucial. After a video shoot I could have 4-5 32GB CF cards and 2-3 64GB SDXC cards full of rushes. So potentially I am looking in the region of 250-350GB of rushes to get into my computer, swiftly and safely. 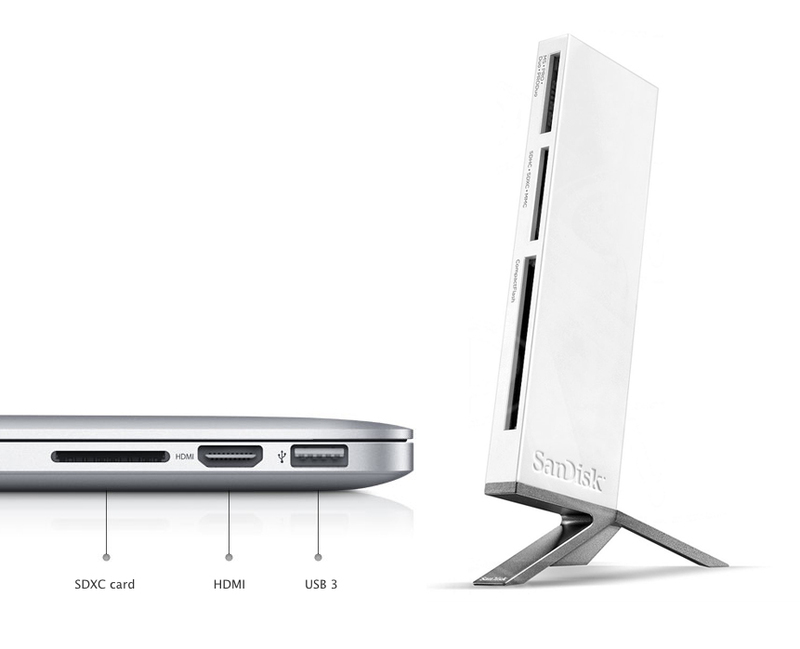 Most Macs these days have an SDXC card slot and Sandisk make a rather tacky looking but so far reliable USB 3 multi card reader. I have experimented with CF to SATA adaptors and HD docks, that have also proven fast and reliable. But for a simple, safe, reliable and fast transfer of all that data the Macs built in SDXC slot in conjunction with a Sandisk USB 3 card reader does the trick. For me this is one reason why USB 3 is so important. 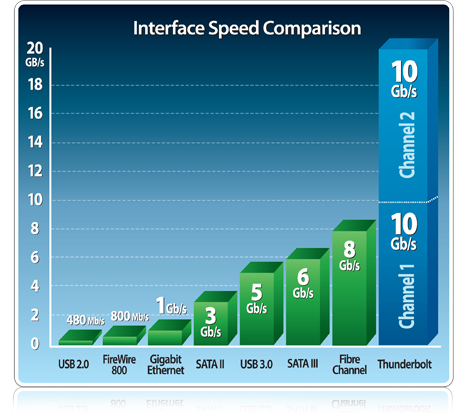 USB 3 is significantly faster than USB 2 and off the charts compared to USB 1. USB 3 is our best friend at this point, its fast enough to allow the best HD’s to run at their full potential without bottlenecking. Its also cheap, USB 3 builds on USB 2 and is relatively cheap to manufacture external caddies etc. Its fast enough to edit HD video footage. OK you might struggle with 8K pro res but we can leave that to the big guns right now. For the serious pro shooting HD USB 3 is just fine. When I have copied all my rushes to an external HD, transcoded and edited my footage I then like to make a shelf back up. Usually the entire project will range from as little as 350GB to 900GB of data. Now copying 900GB of data at USB 2 speeds takes time, lots and lots of time. Will USB 3 make that significantly shorter? Well yes and no, it will definitely take less time but it all boils down to the weakest link in the chain. In most cases that will be the speed of the HD’s that are being read and copied to. In a best case scenario we could expect two USB 3 drives interfacing at USB 3 to transfer data at approx 150-180mbits. That’s nowhere near USB 3’s theoretical limit of 5Gb/s, not even close. But it will be faster than USB 2, which typically works out at about 30mbits or so. So we should see data transfer times reduce to about a fifth, theoretically. The limiting factor in the USB 3 scenario is the HDrive’s data rates, not the interface. In the case of the USB 2 scenario the bottleneck is the USB 2 interface. So your HDrives aren’t approaching anywhere near their potential. This is what makes USB 3 important for me. Time saved acquiring the rushes to HDrives and time saved backing the project up. There are huge time savings to be had with USB 3. That’s great news for all of us! Speeding up the more tedious aspects of our workflow. Thunderbolt (TB) is very important because it not only has a bonkers theoretical 10Gb/s data rate, it also allows for almost limitless expansion possibilities. 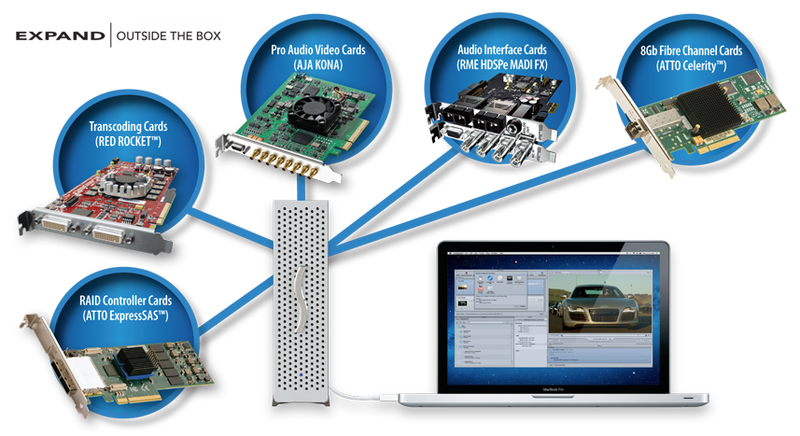 TB can be used to interface HD’s, SSD’s, monitors, adaptors, PCI and PCIe expansion chassis and hardware yet to be invented! TB is the port that allows us to adapt our Mac computers to do very specific high end tasks such as turning them into audio post production work stations, or film edit suites, of the highest level and specification! TB is like Firewire in that it can be used to connect drives but it can also be used to connect other kinds of peripherals, except its so so much more than that, TB is the high speed jack point right into your Mac’s brains! TB allows me to use high end expansion hardware hooked up to my desktop machine and when I need to go portable, hook it up in exactly the same way to my laptop! The potential here is awesome! This for me is why USB 3 and Thunderbolt is so important.